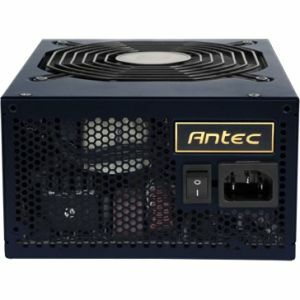 Antec's High Current Pro Platinum series is the pinnacle of power supplies. High Current Pro Platinum is fully modular with a revolutionary 20+8-pin MBU socket for the needs of tomorrow. By using a PSU that is 80 PLUS® PLATINUM & ErP Lot 6: 2013 certified, operating up to 94% efficient, you can reduce your electricity bill by up to 25% when compared to many other power supplies. HCP Platinum's innovative 16-pin sockets create a new level of flexibility by doubling the modular connectivity, supporting two different 8-pins connectors and even future connectors of 10, 12, 14 or 16-pins. Backed by a 7 year warranty and lifetime global 24/7 support, the HCP-850 Platinum embodies everything a power supply can accomplish today.